Put your house on the market (up for sale) first. Typically it is safer to have a buyer and then go house shopping. Personally, I would rather be pressed to look for a house than sell a house. If you desperately need to sell a house, you will end up lowering the price and making concessions to the buyer your normally wouldn’t. You can easily lose thousands this way. However, if you can have your house sold and you’re pressed to find one.. worst case scenario is that you end up in a rental for a month or two while looking for a house. Also, if you buy before you sell, most times you run the risk of ending up with 2 mortgage payments, needing the equity from the sale to make a down payment and it is just gets uglier. Using the same real estate professionals (i.e. realtor or title company) will help you overall. 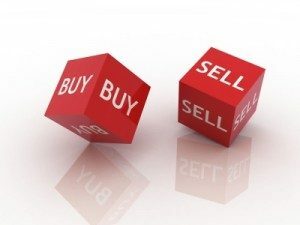 By having continuity of professionals with both sales, they will help you in timing the selling and buying. They will be aware of the situation, work with you and help you to make it a smooth process. This is what THEY do so they will be most knowledgeable on the ways to handle a quick back to back sale. Most people need all the help they can get. In the case of a contract for you to buy new home, put in a contingency based on the sale of your previous home. This will prevent you from ending up with 2 mortgage payments. However, this makes your contract less favorable. To the seller, it means that they are relying on the sale of YOUR home, and if it doesn’t go through, they are back to square one. Remember to give yourself enough time to move out when selling your home. If you haven’t found a home yet, then make arrangements to rent. You don’t wan tto be 72 hours before closing without a place to go. Simultaneous closing is when the sale of your old home and the purchase of your new one happens on the same day. If you are supposed to receive money from the sale of your old home, any planned down payment from those proceeds will be automatically applied to the purchase of your new home. This is a back to back arrangement. It’s good in the fact that you don’t have a lag between moving out and moving in. But, if there are any delays in the selling of your old home it automatically delays the purchase of your new one. If you have strict time constraints, this can sometimes be quite stressful. On the flip side, these are fairly common. If you are working with competent and diligent professionals, you should be in good hands. Keep in mind that spring or summer is the best season for selling your home. These are the most active seasons. Timing is the biggest concern in the buying while selling. If you can help it, plan on these months. If not, be aware that typically buyers will be more scarce depending on the market/area.